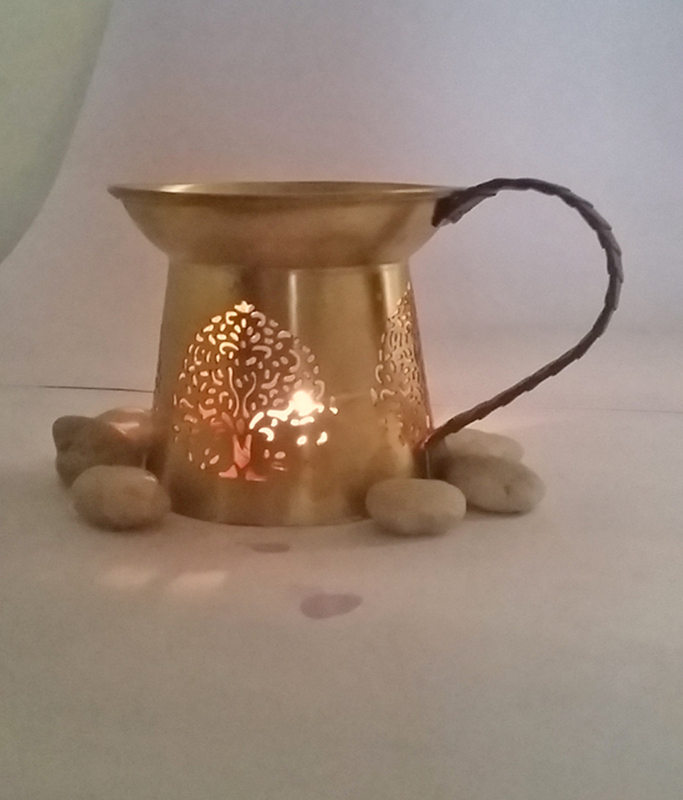 • Aroma lamps are used to diffuse essential oils in Aromatherapy. There are two different types of aroma lamps: • Candle driven lamps use a small candle under a bowl to vaporize a mixture of water and oil. • Electrical lamps use a combination of electrical and mechanical principles to vaporize the essence. 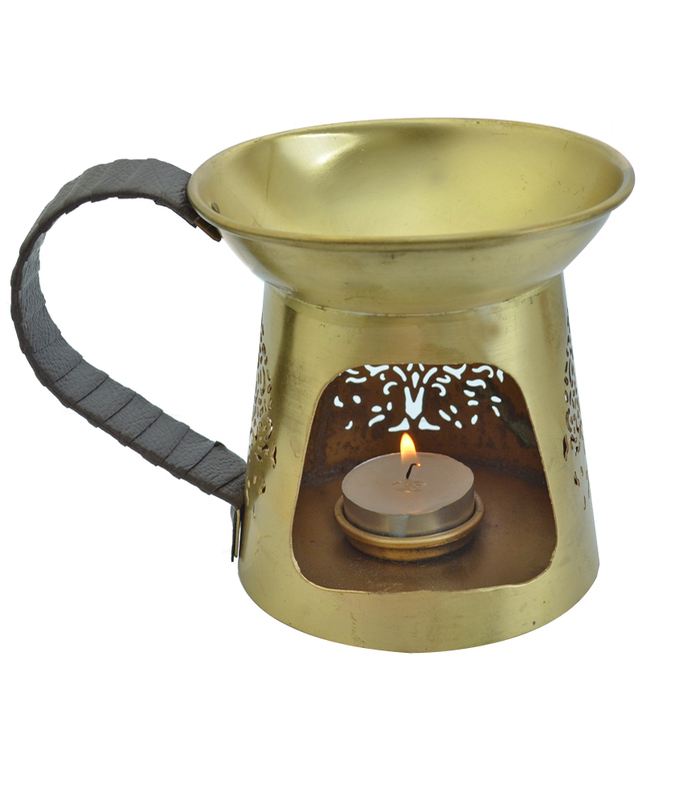 • This round shaped ethnic brass sheet diffuser gives you a amazing effect of tradition along with modern fragrance effect to this lamp. Also the beautiful block cutting allow light to pass and create an amazing effect as soon you lit the tea light within. • Also the upper section to hold water & essential oil is quite deep to hold sufficient water in one go itself. • It can also be used as a bed side lamp and will also help in creating good aura of positivity with your choice of pure aromatherapy oils • Clean it with soft & dry cotton cloth • Suggested aroma oils for good positive feelings are lavender, lemongrass, saffron, rose and green tea, rest you can select from a wide variety of Kriti’s Essential/blend and Essential/pure aroma oils. • Always use kriti s tea light with burning time of 4.5 or 9 hours of your choice for best effect. Product colour may slightly vary due to photographic lighting sources or your Screen settings.